India seems to have become the latest destination for launching pre-orders like the western world. The latest to join the pre-order bandwagon is Samsung Galaxy Core. 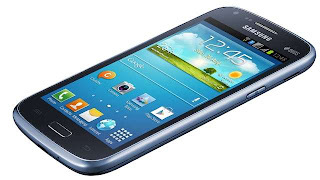 Those looking for a nice budget phone with Android 4.1 Jelly Bean may take a look at this newest offering from Samsung. The Core comes with a 4.3-inch WVGA display and is powered by a 1.2GHz dual-core CPU with 1GB of RAM. Thickness wise it is one of the slickest phone with 8.95 mm. The Galaxy Core has Wi-Fi and HSPA cellular connectivity support and comes with 8GB of internal memory with slot for microSD expansion upto 32GB. Though not the smartest phones around with just 1800 mAh battery on board, the battery seems just enough considering the specs of the phone. It has a 5MP rear camera and 0.3MP front one with LED flash. The rear camera is only good for 480p@30fps at 2592x1944 pixels. The USP of Galaxy Core is the dual-SIM dual standby feature, which allows users to receive a call on the second SIM even when the first SIM is busy. If you are interested, you may visit Flipkart portal where it is available for pre-order for Rs.15200.00 with expected date of shipping given as 1st July, 2013. The Infibeam portal is also taking pre-order of Galaxy Core at Rs.15350.00. I believe it is dual-sim Active instead of "dual-SIM dual standby". I think the users are going to be confused as now a days so many smartphones has been launching with great features and cheap price.